The Titan 1 Tanalised apex shed is a solid storage shed designed specifically to be strong and durable whilst maximising value for money. The traditional design and soft green shade contributes to an organic, natural look for your garden. 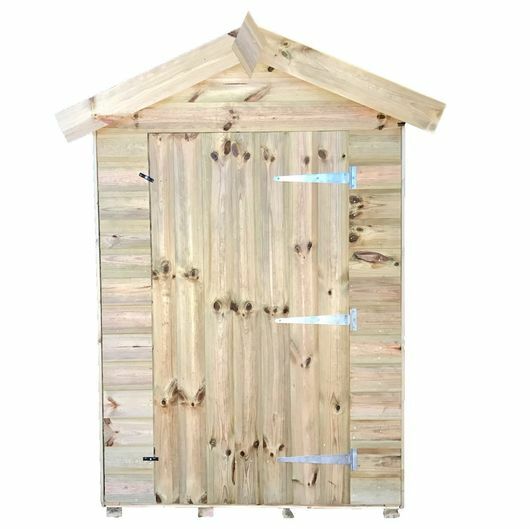 Upgrade your garden with an Atlas Titan 1 Tanalised Apex garden shed. 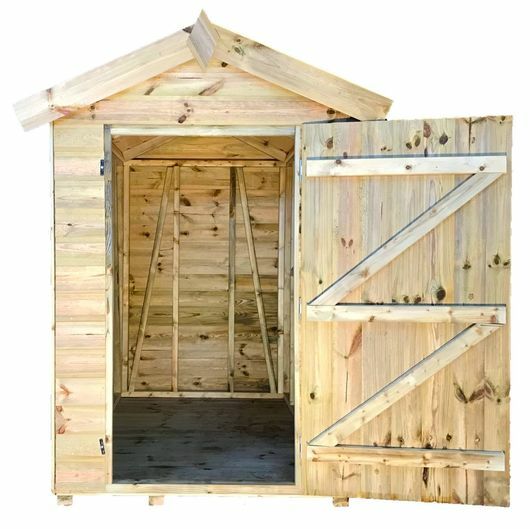 As attractive as it is strong, the Atlas Titan 1 Tanalised Apex shed will compliment any well tendered garden. This product is a superb low maintenance building with supper strong heavy duty angle braced framing providing fantastic strength and giving an incredibly rigid structure for secure storage. A fully framed roof and heavy duty green mineral polyester backed roof felt contribute to to the strength and durability. 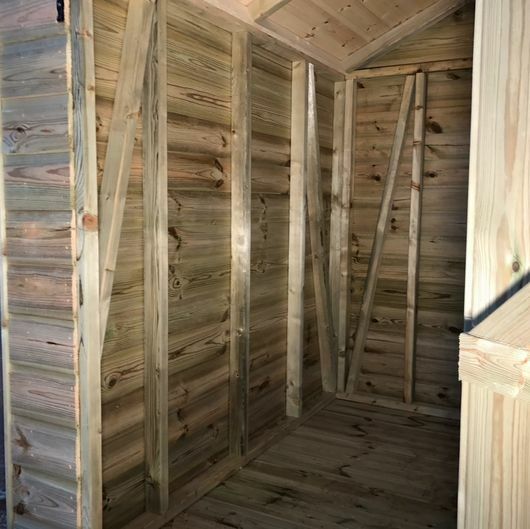 The most significant feature of the Atlas Titan 1 Tanalised Apex shed is the pressurised timber treatment guaranteeing years of anti rot and preferation protection. The pressure treatment gives a soft green shade finish to the shed contributing to a natural organic look to your garden.